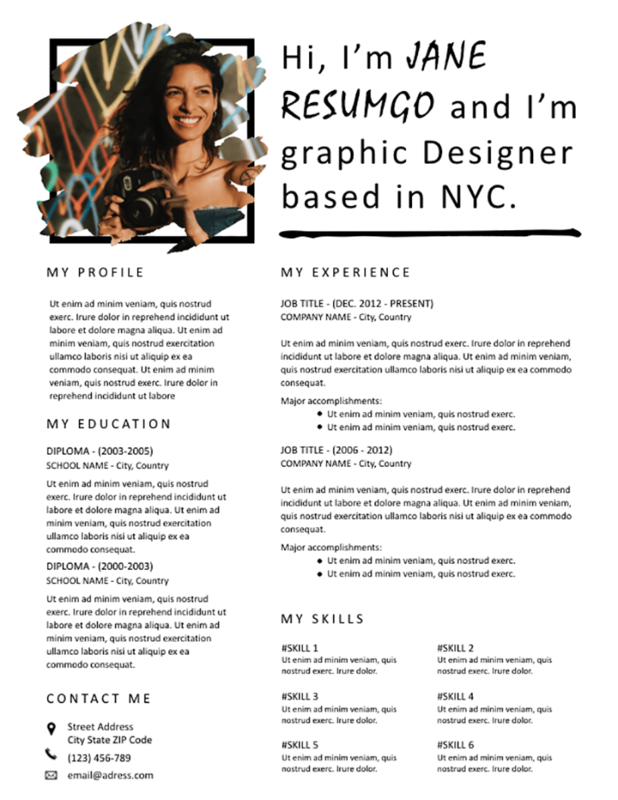 Iola is a free urban resume template, with a 2-column structure layout on a white background, and with a very distinctive and creative header. The imposing header presents a profile picture in a brush stroke placeholder inside a black-border box. On the right, an individualized text introduction, using a mix of regular and handwritten fonts. Under this header, a traditional 2-column structure with, on the left side your profile description, your education, and your contact information. And on the right, present your professional experience as well as your skills.